Madtempest has been providing Suffolk County Web Design services for over 18 years. These days, no matter what kind of business you have, what you are offering, how big or small your company is, you NEED a website. If you do not have an online presence, something like 829% of the buying public will never know about you. That is a real number, we swear. 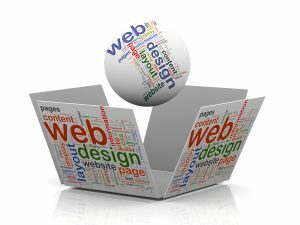 We can build your website, and we can design it to look amazing. We work with some of the best artists and programmers in the industry, so no matter your tastes or preferences, we can build a site to suit your tastes. Design: We can design your website based on your specifications. We work with some of the best print and digital artists in the world. Need a logo? We can do that too. Development: We can work with you and develop a website scaled to your business needs. Need a one-page splash page? We can do that. Need a SQL-driven platform for your thousands of SKUs, with a shopping cart system? We’ve got it covered. You tell us what you need and we can work with you to make it happen. Website Management & Maintenance: Do you already have a website, but need someone to run it? We can provide the updates, posting, and maintenance for you. We can even back it all up on to a disk for you. We’ve got the work, you’ve got the piece of mind. Hosting & Email: Has your current host company got you down? Are you fed up with Yahoo and GoDaddy? So are we. We can host your website. We’ll even transfer your site from your current host. And we can provide you will email accounts, for everyone in your organization. Want webmail? That’s included as well. Madtempest Holdings has been doing web design in Suffolk County, on Long Island, for over 18 years. We can do this and quite a bit more, actually. Contact Us if you have something specific in mind. Chances are, if you’ve seen it somewhere, we can build that. Just like the nifty graphic to the left suggests, we provide comprehensive consultation, design, development, and support for your online presence. If you build it, they will come. That is very true, but in the case of your business, it’s better to think of it as “if you do not build it, they will not come.” Let’s build it together.